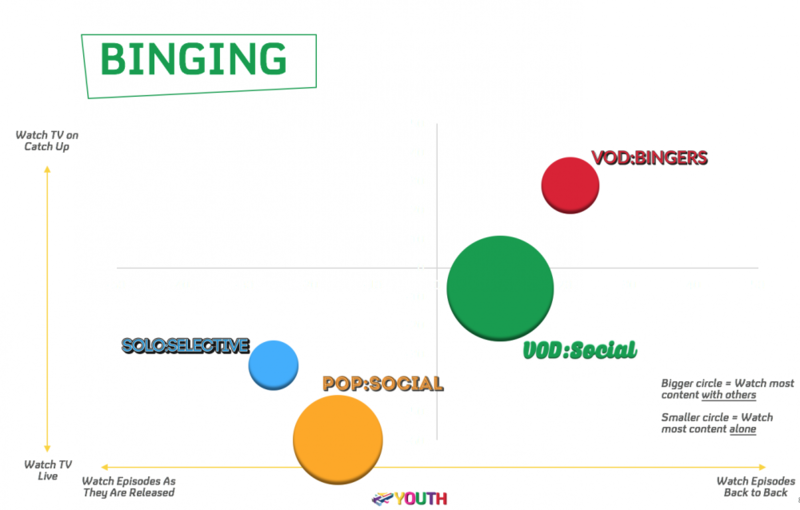 Think of the VOD bingers as your typical college or university student. Time is a resource they have a lot of, but this is counteracted by having less economic clout. VOD:Bingers know exactly what video content they like and access a number of sources to curate their own ad-hoc TV schedule. They believe you have to pay for the best content (72%) – but this may be because they consume so much – they have to use subscription sites to satisfy their binge needs. The majority hold accounts with paid subscription sites although they may not pay for them themselves. However, catch-up services also make up a significant amount of their AV diet; 90% say they watch programmes on BVOD services. 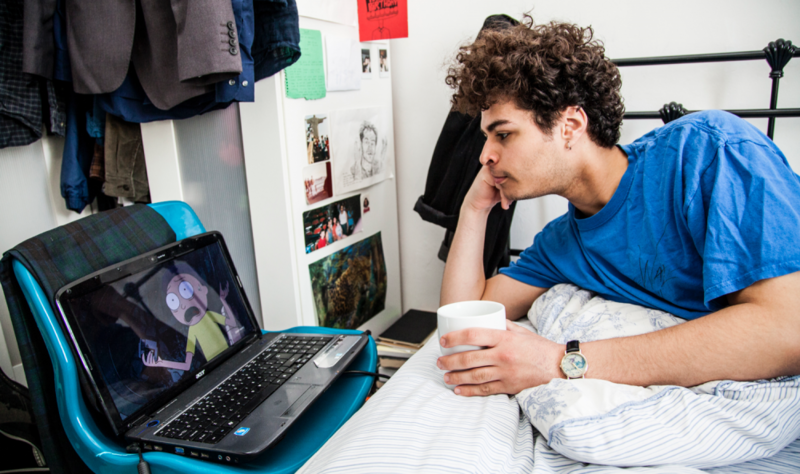 They prefer watching on the big screen (69%), but tend to watch most of their content on laptops and tablets (91%) – indicating they don’t get as much access to the main TV possibly from living with parents or student accommodation. Binge watching for this segment is a solitary pursuit (88% perfer to watch content alone), simply because they’re consuming so much – it’s hard to find someone else who has the time to sit and watch it with them. VOD:Bingers are ad-avoidant – they see advertising as an interruption to their personalised schedule, and so they are less likely to enjoy watching them. Also because of the huge volumes of content they are consuming, the frequency of adverts can also be huge – causing commercial fatigue. However, they show some interest in new brands, and an engaging ad can encourage them to take further action – often by looking for more information online.